Shirts With Random Triangles: Iowa State adds in-state defensive end prospect Anthony Nelson to its 2015 recruiting class. Iowa State adds in-state defensive end prospect Anthony Nelson to its 2015 recruiting class. Anthony Nelson. Via The Des Moines Register. 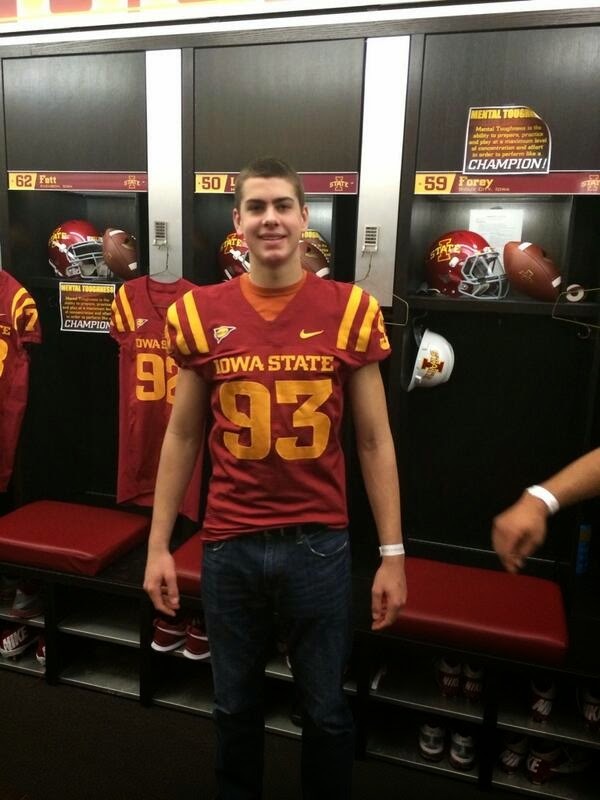 Iowa State has added the third member of its 2015 recruiting class. Waukee, Ia. high school rising senior defensive lineman Anthony Nelson committed to the Cyclones on Tuesday. Nelson announced his decision on Twitter. Nelson is graded as a three-star strongside defensive end by Rivals.com. Conversely, 247sports.com grades Nelson as a three-star weak-side defensive end. It also ranks Nelson as the 54th best WDE prospect in the country. Nelson attends Waukee High School in Waukee, Iq. He is 6'6", and weighs 210 pounds.